Michelle Obama may not have been at the Oscars but she's definitely a top contender for "Best Dressed" last night. 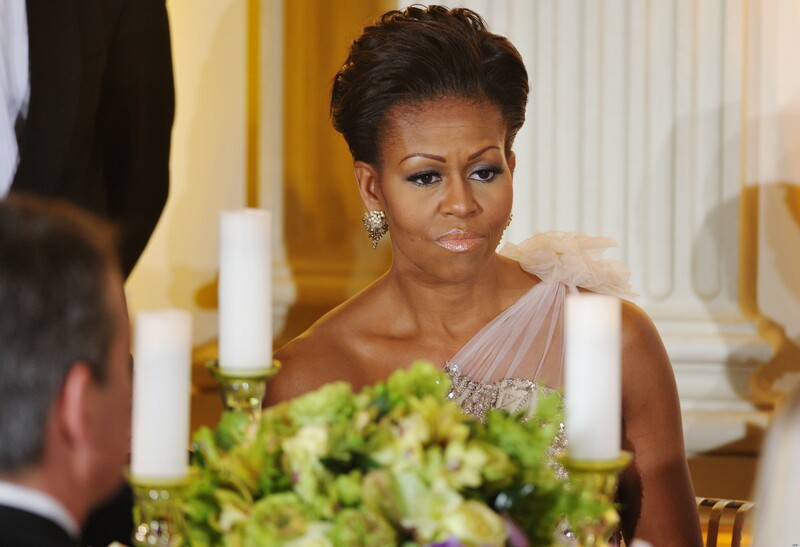 The first lady dazzled at the Governors' Dinner on Sunday, where she wore an asymmetrical, cream-colored gown with a crystal embellished floral design. 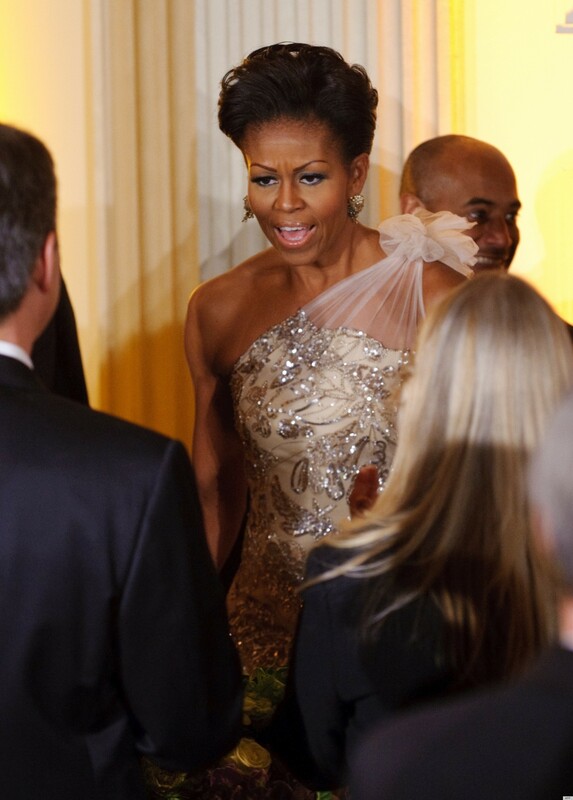 Mrs. Obama's dress was topped with a chiffon bow at her shoulder. While we speculated Mrs. O's dress was designed by Jenny Packham, the famed designer who has dressed Kate Middleton and Kate Beckinsale, the designer who created this gorgeous gown was one of Mrs. Obama's favorite designers, Naeem Khan. 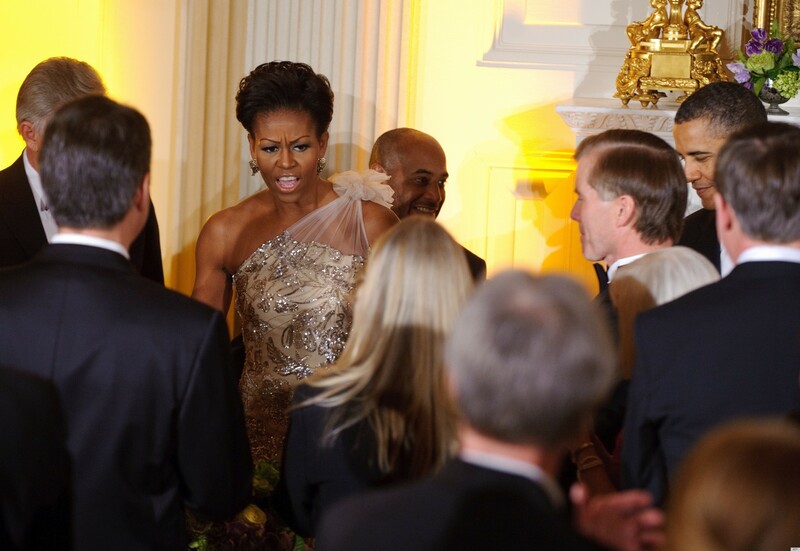 Although photos from last night's event are limited, it's clear to see the dress was a showstopper.